Amazon has done a remarkable job of making Alexa a prominent word at CES 2018. While a fierce battle between Amazon and Google was more than predictable, Alexa is clearly taking the lead as one of the most recited names at the Las Vegas exhibition. Alexa has cracked through not just smart speakers but also laptops, bathrooms, AR glasses, fitness bands, and even car gadgets. 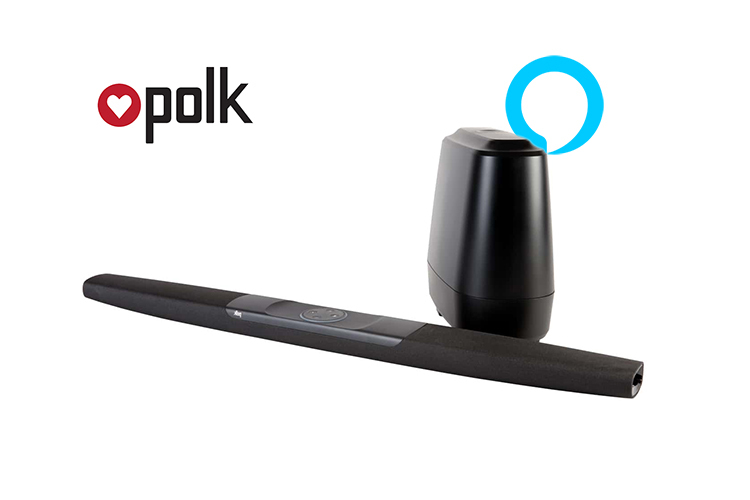 Interestingly, another product that Alexa is making its way to is a soundbar from Polk Audio. 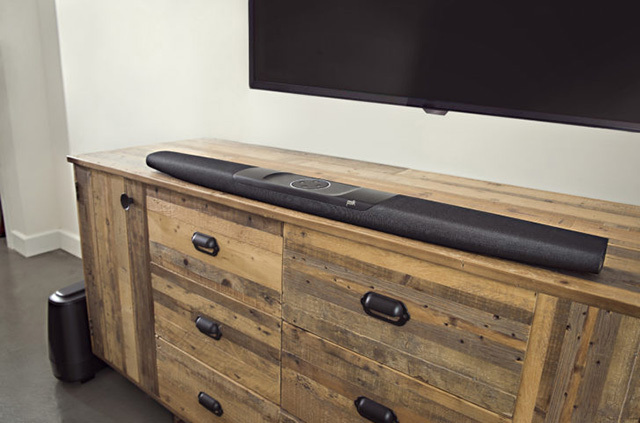 Dubbed the “Command Bar”, the soundbar features a pair of 3.25-inch drivers along with two 1-inch tweeters and a wireless subwoofer. It also features four buttons on the top in the same configuration as an Amazon Echo device. Needless to say, it supports both Wi-Fi and Bluetooth. Thanks to Alexa integration on the Polk Audio soundbar, users will be able to control the volume using just their voice or trigger mute. The soundbar also comes handy when it comes to streaming podcasts and songs directly and like any other Alexa device, it can be used to manage smart home devices. For this, the soundbar uses an array of far-field microphones. The remote which comes in the bundle has a dedicated Alexa button and a small mic so that making commands in a noisy room is an effortless task. The Command Bar has two ports for 4K HDMI input, one for HDMI output, a USB port, and Ethernet input. It can also be hooked up to Amazon Fire TV stick if your TV has a dearth of HDMI or USB ports. Polk says the included support for Dolby/DTS surround sound and Dolby Vision with HDR 10 ensures a rich home theatre experience. The Command Bar has been priced at $300 and will be up for pre-orders on April 1 in the US and Canada, arriving in the UK, Australia and Germany later in 2018.